Note the “geeks” and “early adpoters” reference, perhaps admission that the set-top box is a niche device and isn’t expected to sell in the bucket load. 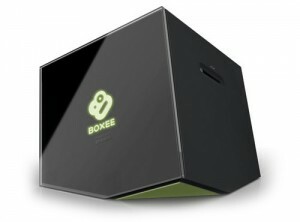 Instead, it could still be that Boxee’s living room future lies not in consumer facing set-top boxes – the Boxee Box itself or competitor offerings such as those from Roku or the newly announced Popbox – but in licensing its software to existing cable and telco companies B2B style. Or perhaps bypassing the set-top box altogether and building Boxee into Internet-connected TVs, although again that’s a direct consumer play and faces similar challenges as a consumer facing set-top.